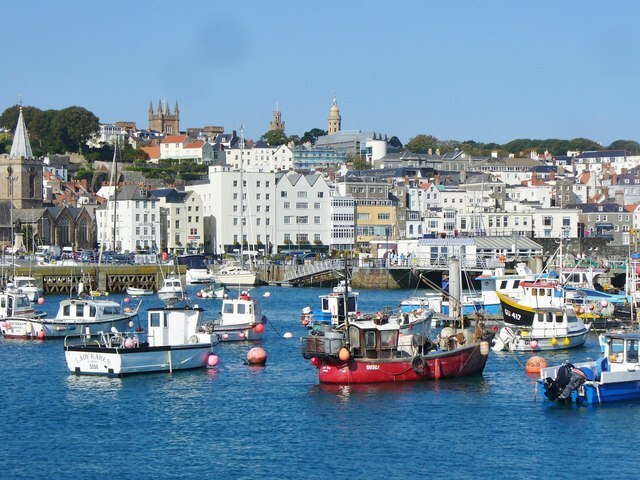 Guernsey - Capital View:: Grid WV3378 :: Geograph Channel Islands - photograph every grid square! View of St Peter Port from the Castle Pier. Crab boats are moored in the harbour while the Town Church is prominent in the left middle distance. On the skyline are the towers of Elizabeth College, Victoria Tower and St James Concert Hall.